This generation alone I’ve likely spent more time playing Wipeout than most other games combined. It’s one of few games that I continuously come back to year-over-year. 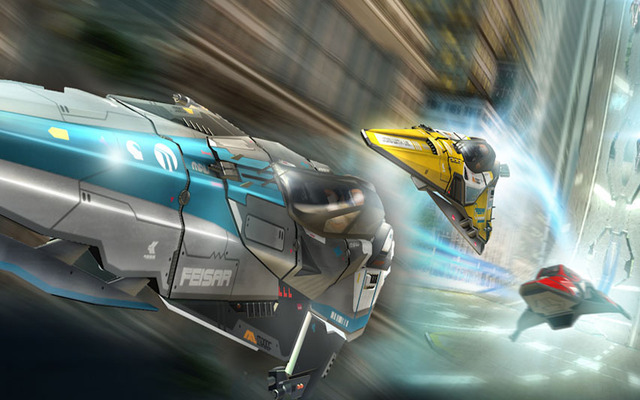 So naturally the announcement of a new Wipeout hitting at the Vita’s launch was enough to get me excited for the Vita. It was however the revelation that this Wipeout would serve as the prequel to the series that peaked my interest more than anything else. Instead of getting different medals for each event Wipeout 2048 simplifies this to Fail, Pass and Elite. Passing an event usually comes down to finishing a race in the top five, making it to a certain zone or beating a specific time. These are usually fairly easy to achieve on their own. Getting Elite however will require you to master each event. This will prove difficult, especially in some of the later stages, and will go a long way in helping to increase longevity for completionists. That being said while Wipeout 2048 leaves plenty of room for experts to train their skill to the best of their ability I do feel that this Wipeout is friendly to newcomers. The campaign itself isn’t all that difficulty to get through (as long as you’re not aiming to Elite pass everything on the first go around) and the track design seems better fit for new players. Tracks tend to be wider and a bit easier compared to other entries. You’ll still be rubbing up against walls at the start of things but these tracks certainly feel as if they’d be a bit easier to navigate for newcomers of the series. That said I absolutely love the new tracks for Wipeout 2048. In particular the tracks you come across in the 2048 campaign that fuse together the futuristic nature of Wipeout with other modern day styles (tracks that take you through city parks among other things) offers up something that feels totally unique while still feeling very much like Wipeout. Just as well the new tracks are littered with alternate routes and twists and turns that will require plenty of practice to perfect. It is of course in that moment of perfection that you’re rewarded with an amazing feeling of accomplishment that only Wipeout can give. Progressing through the three campaigns feels really cool as well. When I reached 2050 and encountered tracks like Sol and Altima I honestly said ‘wow’. Seeing the progression throughout the three campaign years and how the tracks evolved was neat but witnessing that first drop in Altima left me with an extreme sense of vertigo that I won’t be forgetting. The multiplayer campaign is setup with a similar UI to the single player campaign but functions quite differently. You’ll challenge other players in events through 20 levels. Each of which contains a handful of events. You’ll earn Pass or Elite on events by simply completing a race or by accomplishing something a little more challenging. Some events might require you to finish first or land a hit on a specific player. These are typically easy to earn than in single player but with tons of events to go through it’s likely the multiplayer will last you for a long time. The other multiplayer option comes in the cross play mode. In it you’ll challenge PS3 players on one of four tracks from Wipeout HD (the other four will come as DLC later). This seemed to work mostly fine. 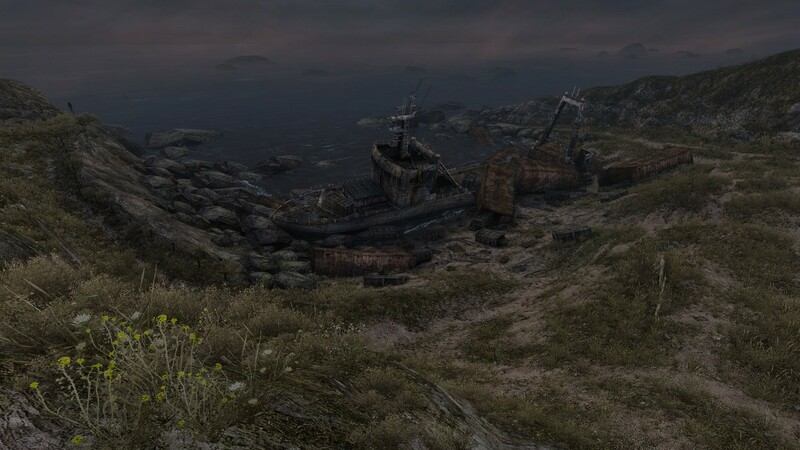 I was usually able to find at least a couple people playing and the game ran smooth enough. I’ll go into it a bit more below but I did at first have some connection issues with cross play that seem to not show up anymore. Across both single and multiplayer you’ll earn experience points and rank up. Experience can be earned by simply winning a race or by doing a barrel roll, landing a hit with a weapon and plenty of other things. Ranking up as well as completing specific events in the single player campaign will unlock vehicles for each of the five teams in the game. (Feisar, AG Systems, Qirex, Auricom and Pir-hana.) Some events will also allow you to unlock prototype models from each of these teams. Prototype ships have skills of their own and can prove dangerous if used correctly. The Feisar prototype for instance starts at a slower speed but with each pass over a speed boost it receives a permanent speed boost that’s capable of exceeding even the stated speed class for a race. Naturally you can see how something like this could be quite useful. Wipeout 2048 does an outstanding job at replicating the Wipeout experience that many have come to love to the best of its ability on the Vita. That being said there are a few snags that you will run into and while I never found them as a detriment to my enjoyment of the game they will likely be deal breakers for many. Most notable is the loading times throughout the game. Even with the patch installed each track still takes a while to load. Even restarting a race feels like it takes too long. This doesn’t make Wipeout a bad game of course but it’s a bummer that it’s there. Something else I saw a bit too often was dropping my network connection. While most of the time I was easily able to hop into multiplayer races it seemed like I’d lose my connection or just not even be able to get into multiplayer lobbies for some reason way too often. With cross play mode in particular the first day I had the game I couldn’t even connect. No matter how many times I tried I’d get an error. That seemed to have ironed itself out at this point but I still occasionally get the error in the online campaign. Lastly on a more personal note I’m a little bummed that Wipeout 2048 disables the Vita’s screenshot function. You don’t necessarily need it as Wipeout has a built in photo mode that offers way more features and takes some truly great photos but without the option to screen-cap on the Vita I can’t show other things. For instance I won a race where the time between me and the 2nd and 3rd place AI’s was less than .01 seconds. I wanted to screenshot it to show other people as I thought it was neat but was unable to. It’s not really a complaint I just really wish that option wasn’t disabled at all. As it seems to be the case with most of the racing games out for Vita so far Wipeout does offer control methods that use both the touch and tilt capabilities of the Vita. These work but won’t make things any easier for you when you start to go for the Elite passes on the difficult events in the game. It’s best to just stick with the buttons for this one. Wipeout 2048 will absolutely satisfy its fans. While this isn’t the best Wipeout to date it’s certainly up there and makes for another must have Vita title. The game looks stunning, features an outstanding soundtrack and offers up some truly great track design. Attempting to master the game will require absolute precision with every speed boost counting and mastering corners imperative. This is a great entry into the Wipeout franchise and one I’ll likely be coming back to over and over again over many years to come. This is the Wipeout that I've grown to love.